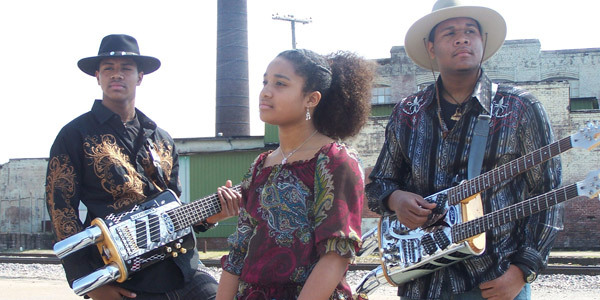 The Homemade Jamz Blues Band is a family band from Tupelo MS, a town that will always be associated with Elvis Presley, but also a place where blues artists such as the late Willie Pooch lived and played with considerably less fame. Renaud Perry, a police officer and father of sons Ryan (guitar) and Kyle (bass), and daughter Taya (drums), plays harmonica on some of the band’s songs and writes many of them too, though it is the kids whp really shine. Ryan Perry, who walks through the crowds at their shows playing his homemade guitar, is an audience favorite. Ryan was schooled by a local blues guy named Jabbo, and everyone acknowledges, usually with a good laugh, that Renaud Perry’s job as a cop may have influenced him to take on the boy as a pupil. The skeptical Jabbo discovered quickly, however, that Ryan Perry was very serious about learning the blues. The band’s debut album in 2008 “Pay Me No Mind” started them on the road to national and international recognition. The kids switched to home schooling in order to accommodate their travel and performance schedule. While Ryan is clearly the frontman for the band, drummer Taya is also a real crowd pleaser, and a very accomplished percussionist to be sure, and Kyle is no slouch on the bass. The guitar and bass instruments, made from auto mufflers by Renaud Perry, including colored lights as well as guitar electronics, are fine examples of modern folk art, drawing on the long tradition of instrument-making in rural Mississippi using found objects, transformed through impressive artistic talent. 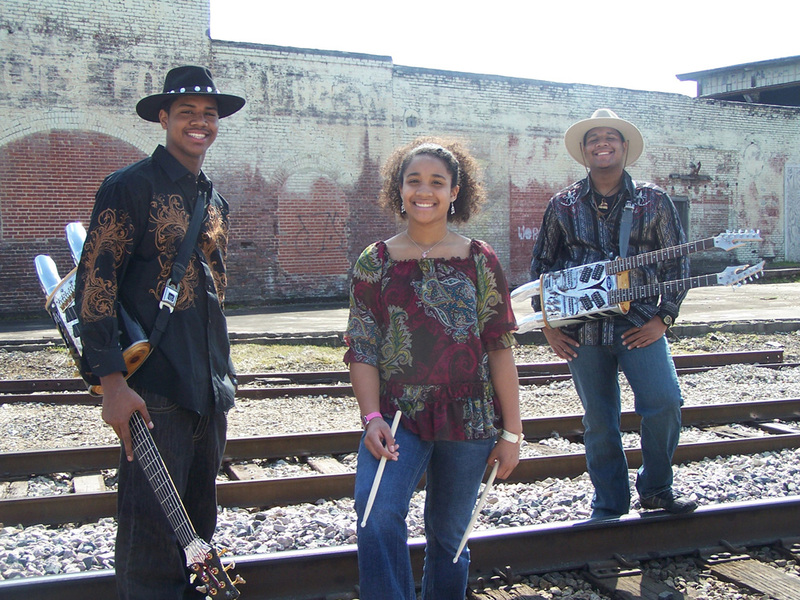 The Homemade Jamz Blues band now has three albums out; the latest “The Game” in 2010 finds them singing about life in the Magnolia state from the point of view of today’s teenagers, kids who are part of a changing and growing tradition who now have a key role in that process.